Can the Daughter be King? 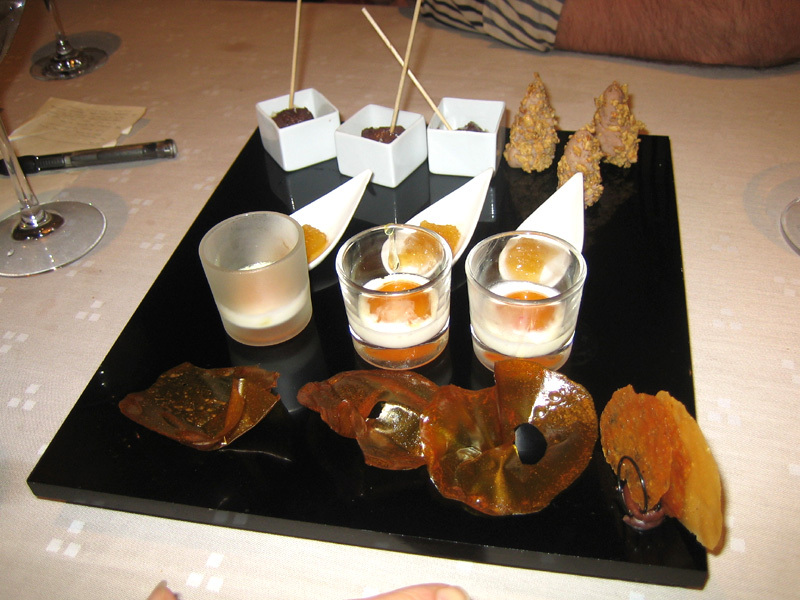 Arzak is a restaurant I can’t pin down. 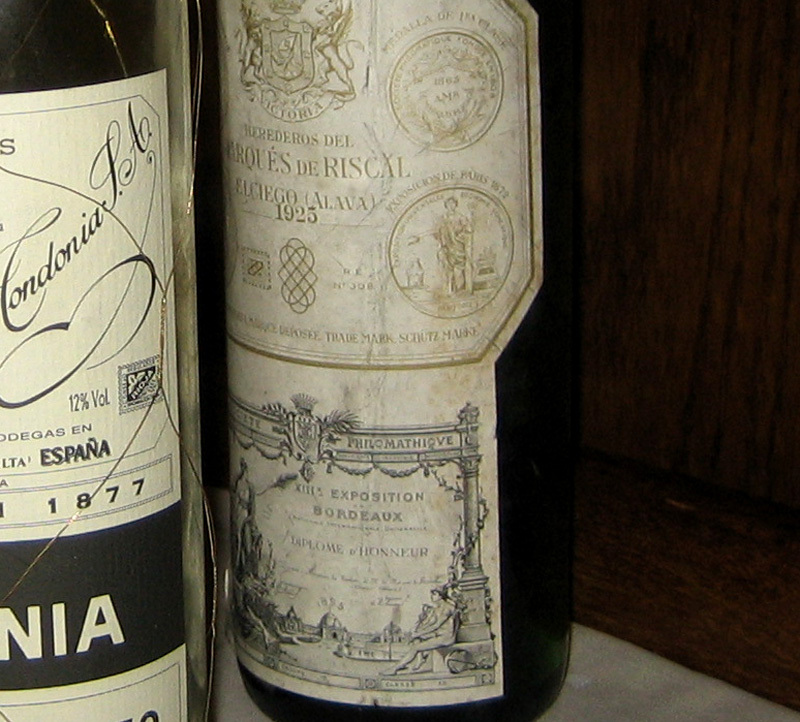 It is Spain’s longest running three star; a revered restaurant that many consider the best in the country. It maintained its three stars largely on serving the pinnacle of Basque cuisine. 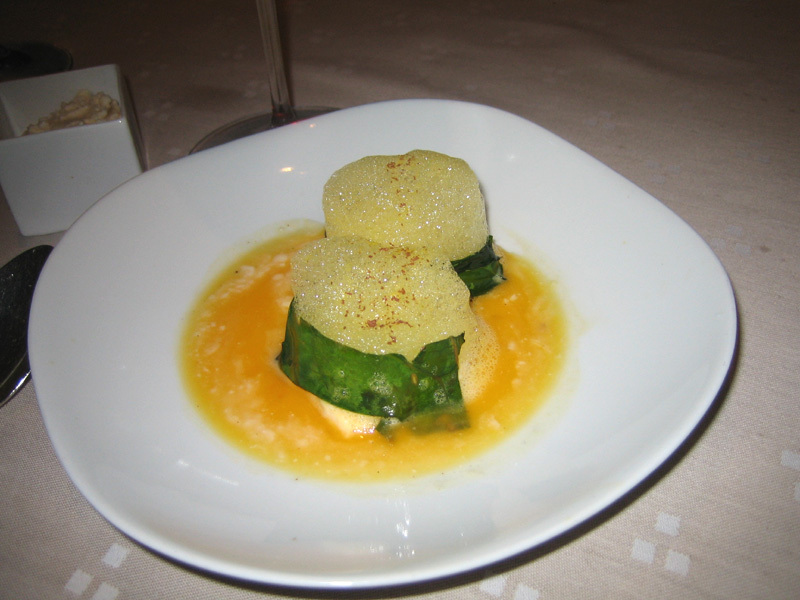 But old man Arzak grew tired, and his daughter Elena Arzak took over the reins. It’s still considered by many to be Spain’s best but Elena has supposedly given the traditional cuisine a much more modern twist, taking some cues from her contemporaries. I went in expecting a formal Basque meal w/ some unexpected fireworks. The vibe at Arzak might be more casual than Can Roca – there’s nothing regal about the building, interior, nor furniture – it could be any random restaurant in Spain. I was contributing to this downfall of fine dining by wearing jeans but I could’ve been overdressed. No formality in this place.The food though, the food will surely have a spark; a refined sizzle that will set it in apart from places like Zuberoa and the myriad pinxtos (re: tapas) bars in the old city of San Sebastian. 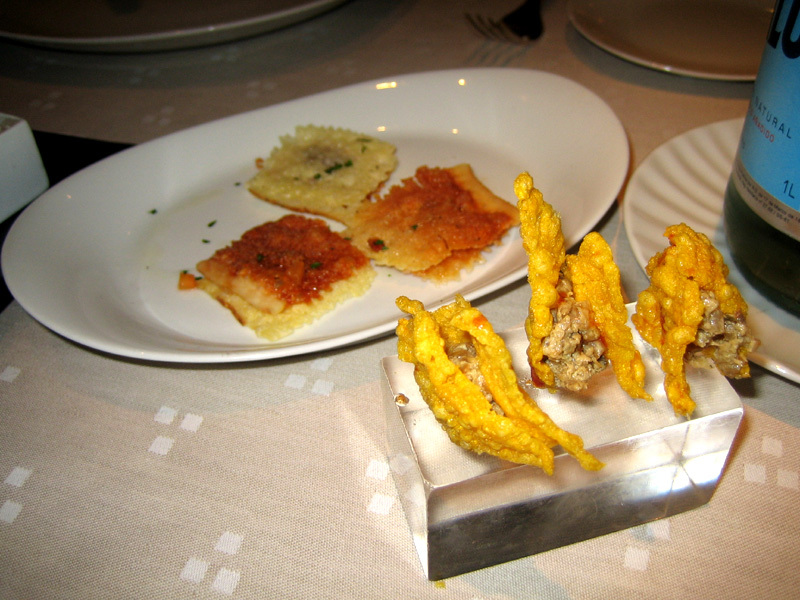 That was the expectation sitting there at the table – casual place, refined food – a winning combination in Spain. Thick, satisfying, but neither here nor there – it lacked a focal point, no driving force to establish ‘this is Arzka’s legendary cuisine, get ready.’ Ok.
Rich, salty, not very refined. The “taco” shell was slightly stale, but still full of grease. Ok.
Tasty, but again, unrefined. Again, it felt like it might have been made much earlier and/or the previous day. Ok. I have this listed in my notes but no tasting notes. I’m assuming this is it. 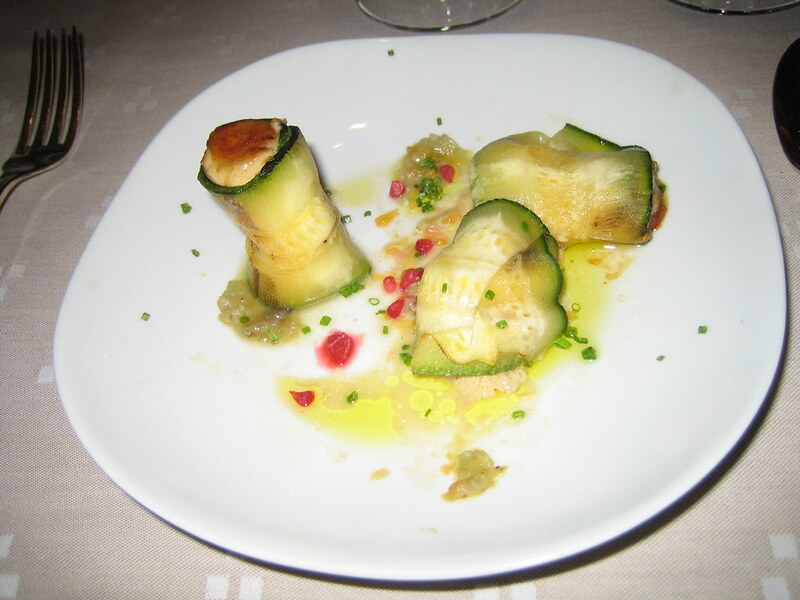 Foie wrapped in zucchini. 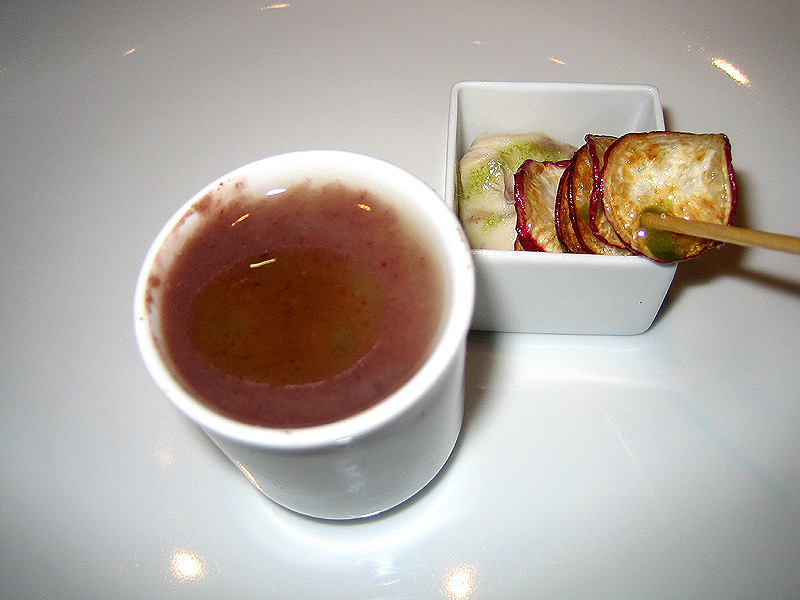 The foie had a nice caramelized crust that was sweet; the foie itself was mousse-like – heavenly. A welcome respite from the various soggy & taste-lacking specimens we had been subjected to throughout our trip. 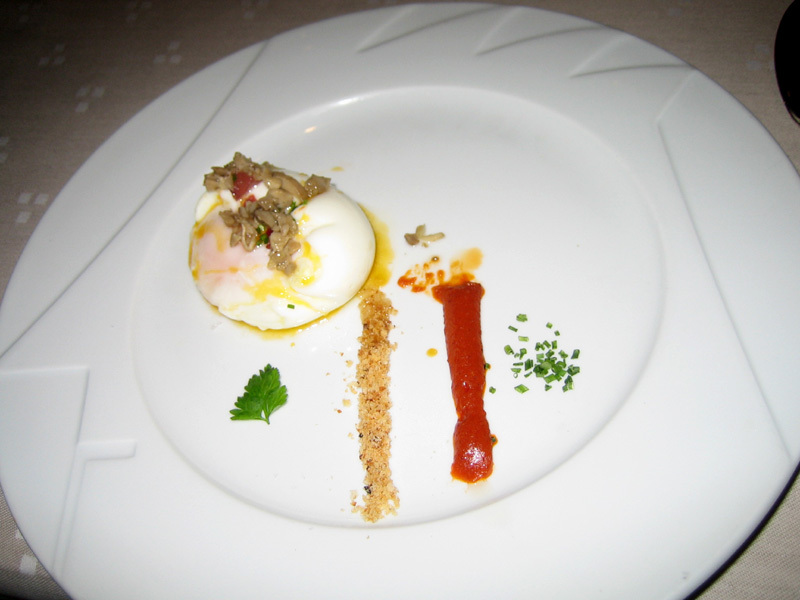 This dish was the first to succeed at a conceptual level but its execution was somewhat sloppy. Very Good. 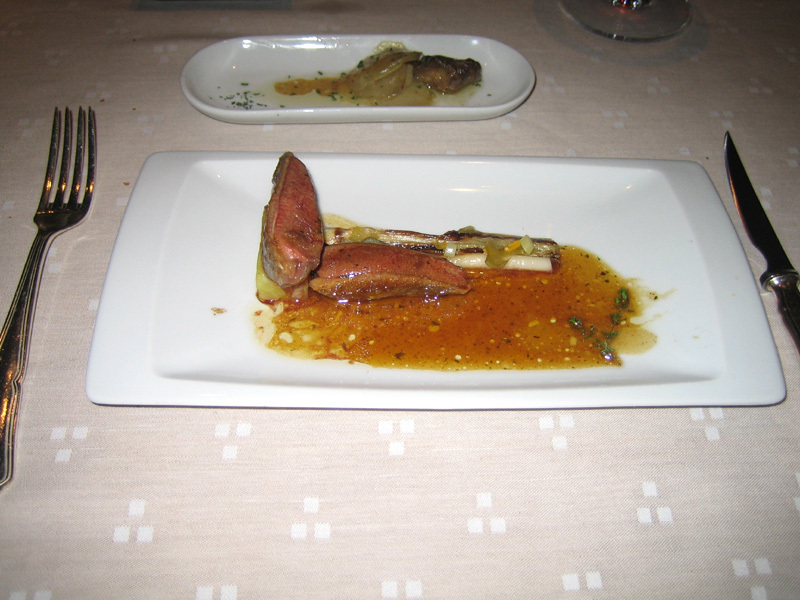 The foie alternative – I didn’t taste this as it was the alternate for the foie. Reports are the asparagus was of high quality. Their signature dish – a modern take on the spanish obsession w/ eggs and mushrooms. This is a roasted egg whose exterior is cut to resemble a flower, all while not disturbing the yolk. High quality egg (the Spainards take pride in them) that had a slight sweet taste. Again, it wins conceptual marks but it still felt sloppy – it could be elevated to a higher plane if it was prepared with a touch more refinement. Very Good. The fish was moist and it tasted fine, but it wasn’t anything one couldn’t seemingly cook in their own kitchen. Good. Cooked nicely, on the rarer side, and a good slightly gamey taste. Good. 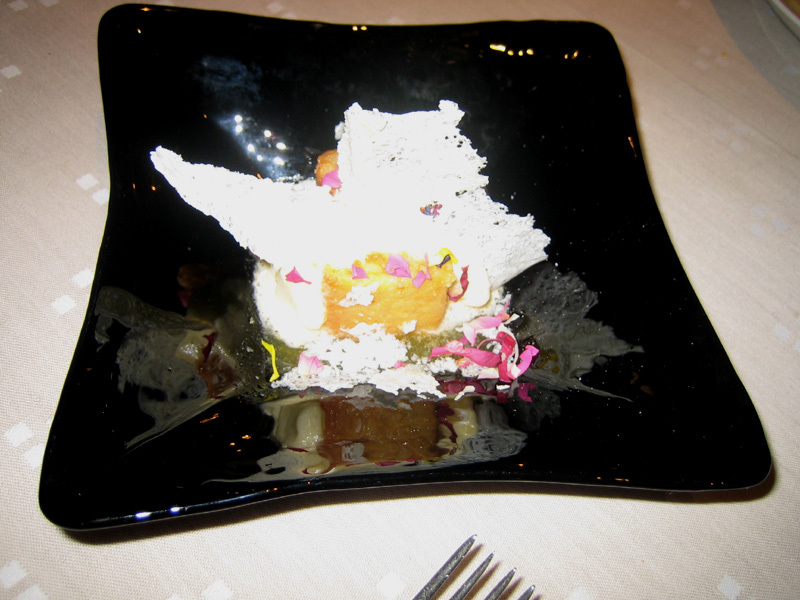 This is their signature dessert – you see them all around while you’re eating your meal. When they “explode”, they look like they might consume both the plate *and* the table. 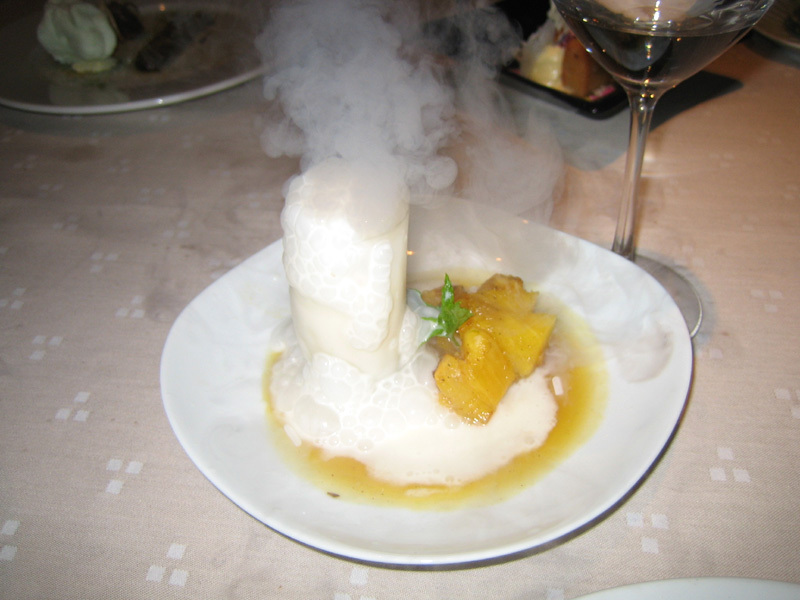 They pour dry ice into the glass and it turns into a volcano. Great effects but just good to very good taste. Very Good. 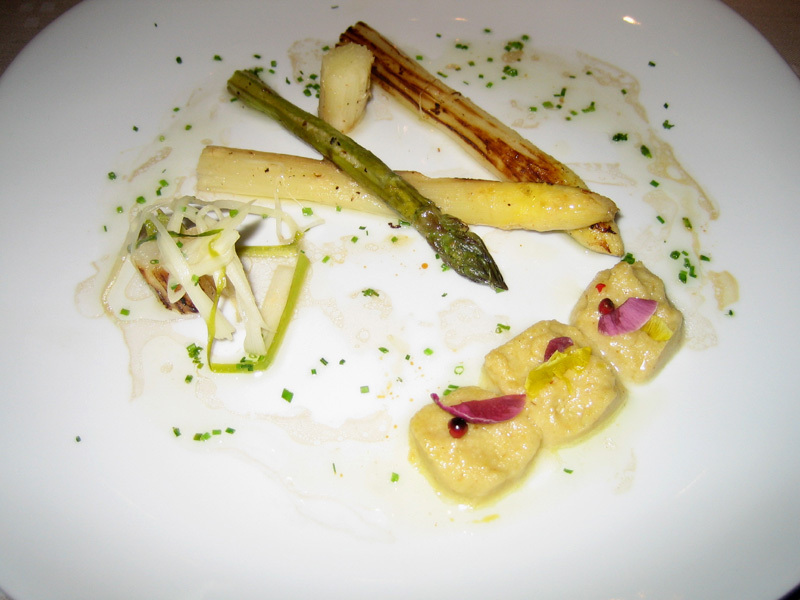 Overall, despite 3/5 of the main dishes being Very Good, I wasn’t that impressed w/ this meal. It didn’t add up to me – we had some basic glorified “home-cooking” dishes with some pyrotechnics at odd points in the meal. 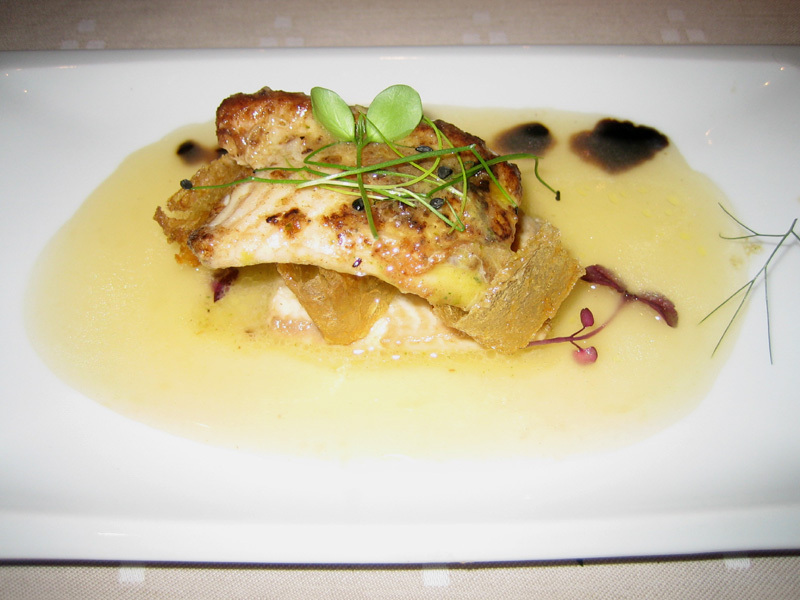 The meal was missing refinement – it was fancy bistro food for the most part. It just doesn’t add up for me. Considering the wealth of alternatives, this won’t be on repeat. Who is hiding behind who ? With a strong, committed, culinary background, Elena and Juan-Mari Arzak enjoy playing with their talents throughout each season. Paradoxally, the technical perspective merely increases contemporary aspect in tradition. 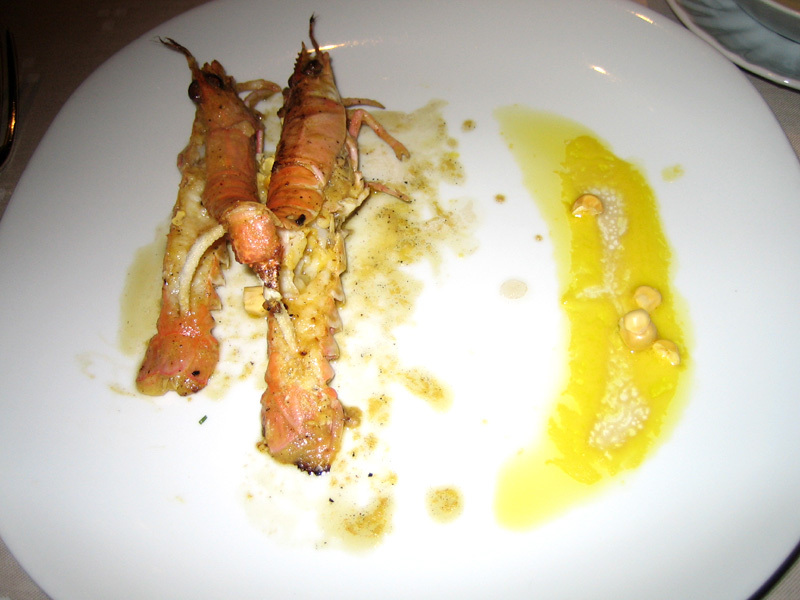 The result is a cuisine bridging numerous gaps, not only between the past and the present, but also the continents. In the Arzak family, if you are looking for the daughter, then you just need to find the father, and vice versa! Juan-Mari straightaway begins the conversation with, "My daughter and I are like a kitchen duo." In a soft voice resembling her fathers, Elena adds, "We work just like my father and grandmother did. I suggest a new dish and then we talk about it." Juan-Mari describes their relationship with the perfect metaphor: "We're like the different musical generations - I'm into rock n' roll and she's into Heavy Metal." There's no point trying to find the group leader as the score is harmoniously played with four hands and moves easily from old Basque songs, to emotional-techno creations, and to contemporary works … each being the fruit of in-depth and off-the-wall research. So do they form a group, a couple of DJ's, or a brass band? None of the above. The Arzak restaurant employs thirty cooks, therefore it is more likely to evoke a cheerful and unassuming Big-Band comprised of numerous talents. Along with the founding duo, two people not to be forgotten are Xabi Gutierrez and Igor Zalakain. These two young chefs manage the laboratory which creates all the culinary delights imagined by Elena and her father. The former have both converted into masters in the art of gelification and spherisation. 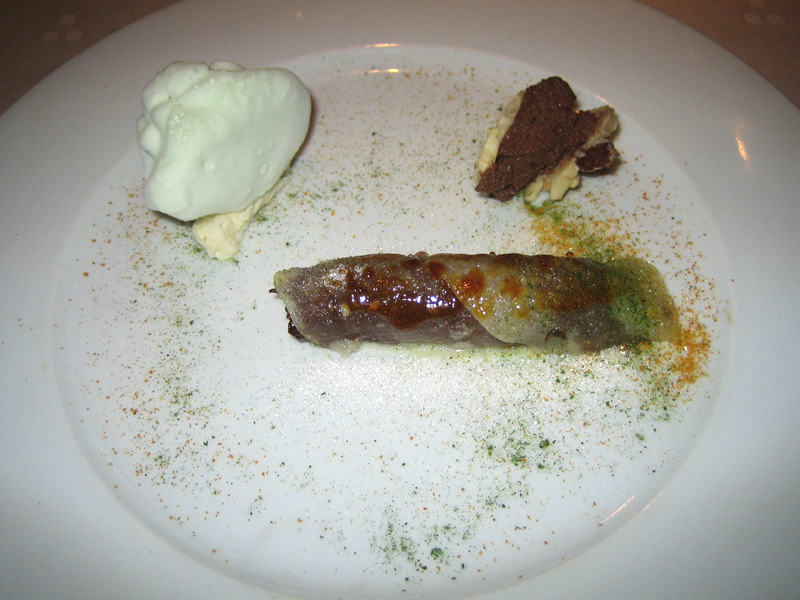 The result is a "one-of-a-kind and avant-garde cuisine," where terrestrial inspirations remain intact despite the fanciful techniques. 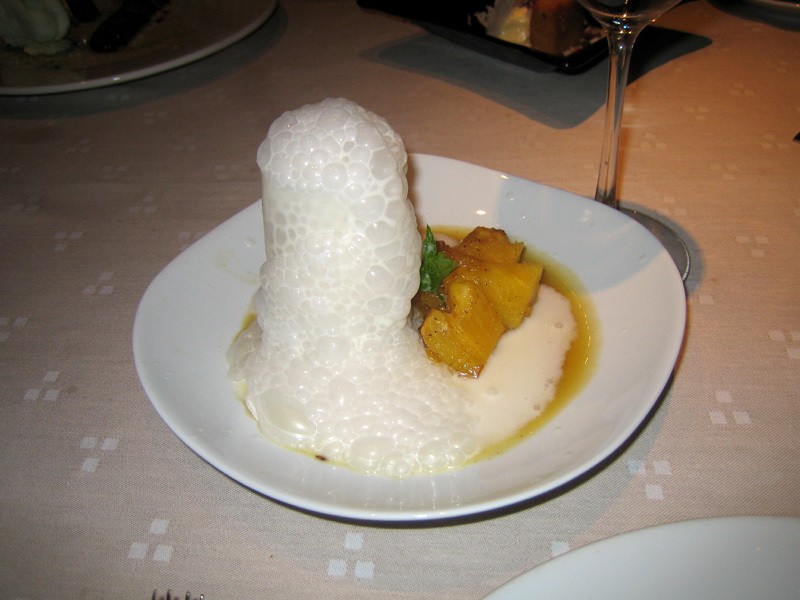 An example is lobster served with a tapioca powder - freeze-dried - whose texture changes as soon as the olive oil is poured into the plate. Is this "techno" cuisine? No, more like contemporary cooking using this technique to its fullest potential. As explained by Juan-Mari and Elena, with their identically pleasant voices, "The appreciation of knowledge and understanding of a culture - Basque please! - allows for an immediate appreciation of this change along with traditional cooking." The score is indeed technical, but the orchestration is limited both seasonally and geographically. "All our suppliers are located at under an hour's drive from Saint-Sébastien, which is our way of guaranteeing the freshness of our products used," boasts Igor, whilst leading us down to the cellar… not to admire the group's next "gig", nor to taste one of the 200,000 bottles stored there, but to merely contemplate the history and background - a single beam symbolizing something incredibly powerful, carved from one part of the same tree, bearing the weight of the whole family restaurant since … 1897. 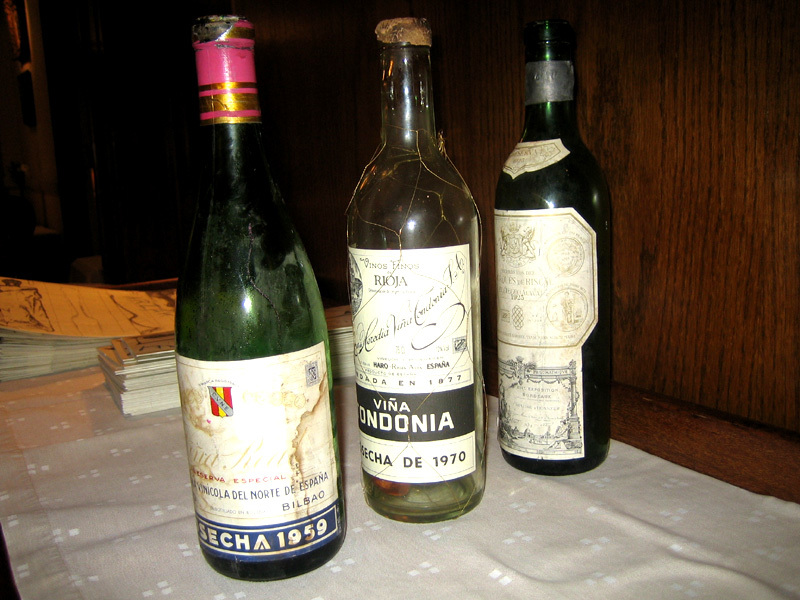 Here, the constant referral to Basque culinary heritage is a means and not an end, just like the whole technique. The "Basque taste" is one of the central objectives for the Arzaks to reach, having one or a thousand and one ways to succeed. Or, to be more precise, 1400! This is the number of spices, seasonings, and herbs, slowly and patiently gathered by the family throughout their various far-away travels, business trips, and other culinary adventures. There are many musical notes, silences, and breathing to play the ultimate score, the sacred harmony orchestrated by Elena and Juan-Mari, that of the "Basque taste." Therefore, "These spices are like a huge pool of ideas, allowing us to work professionally and precisely." Precisely? 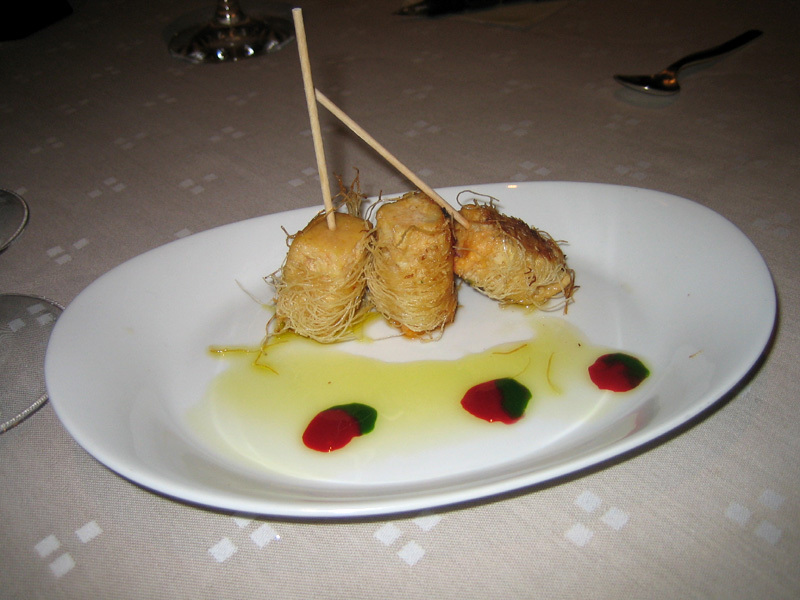 Monkfish brushed with blended spices from the Canary Islands, with ginger, parsley, and hot pepper is a typical example. In fact, one of the distinctive traits of the great Arzak orchestra is this fine "worldwide" touch - lotus, sesame, lime, saffron, cocoa, tamarind, etc - all woven around a centralized core of local products, often very simple such as summer squid or Pyrenean beef.